Exit the motorway A40 at “Bochum Ruhrstadion” and follow the “Stadionring” for about 300 metres. Drive straight, passing the roundabout. Cross the next intersection at “Castropher Strasse” and turn right into Max-Greve-Strasse after about 100 metres. The hotel can now well be recognized. During good weather our small, peaceful courtyard invites you to relax. 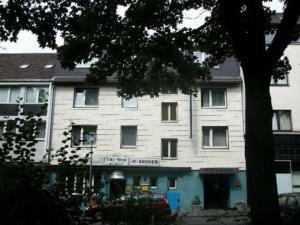 This hotel is only a short walk from the centre of Bochum. Hotel Aleppo offers modern, individually furnished rooms with satellite TV and free Wi-Fi, as well as a hostel with triple and quadruple rooms with shared bathrooms. Free public parking is available opposite the hotel. The Hotel Aleppo offers easy access to the A43, A1, A40 and A44 motorways. 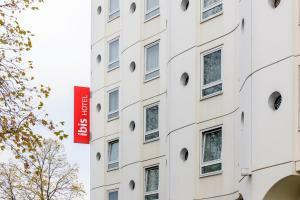 This non-smoking hotel in central Bochum offers modern rooms, and international restaurant and a sauna. The Starlight Express Musical and the Rewirpower Stadium are just steps away. 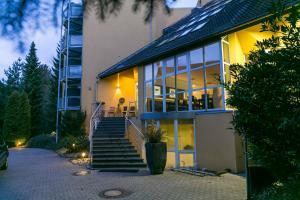 The Renaissance Bochum Hotel has large rooms with back-friendly mattresses, satellite TV and free basic WiFi access. A breakfast buffet is available each day at the Renaissance Bochum. Sutherland Restaurant offers international cuisine, and Franklin's Piano Bar serves a wide range of drinks. Guests are welcome to use the Renaissance's sauna and gym. The nearby Stadtpark (City Park) is an ideal place to go jogging. Just a 5-minute walk from Bochum Town Hall, this family-run, 3-star hotel offers a wellness area with indoor pool, free Wi-Fi internet, and a traditional-style restaurant. The Hotel Ostmeier has spacious rooms with bright décor, cable TV, and a private bathroom. Guests are welcome to relax in the Ostmeier’s sauna during their stay. Varied breakfast buffets are prepared at the Ostmeier Hotel. In the evenings, guests can enjoy a range of snacks in the Ostmeier’s Jägerstübchen restaurant. The Ostmeier is popular with cyclists wishing to explore the Ruhr Region. There is a free storage room for bicycles at the hotel. Parking is available at the Ostmeier. Featuring a sauna, solarium and free swimming pool, this country-style hotel is quietly located on the outskirts of Bochum. The Starlight Express Musical is 12 km from Hotel Restaurant Zum Neuling. Bright rooms include cable TV, free Wi-Fi and a private bathroom with a hairdryer. 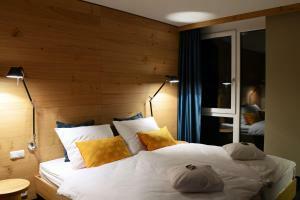 Each one is homelike in style, with pinewood furnishings and soft lighting. Seasonal and regional specialities are served in the hotel’s elegant restaurant, where a hearty buffet breakfast is also available. Drinks can be enjoyed at the well-stocked bar. 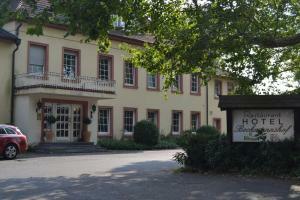 Guests at Hotel Restaurant Zum Neuling can take a trip to the Kemnader See Lake (9 km) or Bochum Zoo (12 km). Bochumer Golf Club is 4 km away. 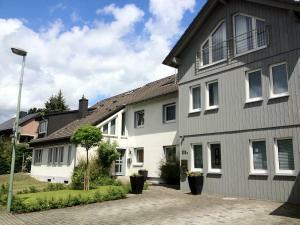 This quiet guest house is located in Bochum’s Günnigfeld district features bright rooms and a large terrace. Free parking and free Wi-Fi in public areas are offered. 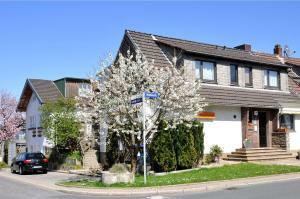 Bochum city centre and the Centennial Hall are only a 10-minute drive away. Both the Ruhr Congress and Starlight Express are 8 km away from the guest house. Bochum City Centre is just a 10-minute drive away. 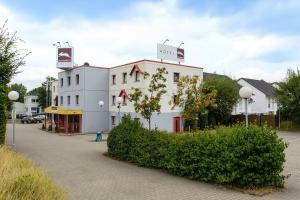 This 4-star hotel offers tastefully furnished accommodation and an idyllic location in the heart of Bochum's city park, 2 km away from the main train station. Free WiFi is included. For a surcharge, you can keep in touch via Wi-Fi internet access, available throughout the hotel. The hotel lies opposite the Gastronomie im Stadtpark event facilities, a 15-minute walk from the city centre and one kilometre from the A40 motorway junction. A buffet breakfast is available each morning at the ACHAT Premium Dortmund/Bochum. The hotel also has a restaurant and bar. 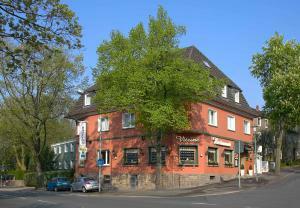 The ACHAT Premium Dortmund/Bochum is less than a 20-minute drive from Dortmund and Essen. A supermarket and restaurants can be found just a 10-minute walk from the property. Düsseldorf Airport is 46 km away. Nine rooms are available for meetings and conferences of between 5 and 250 people. These rooms are equipped with modern presentation technology and Wi-Fi internet access. Bochum Main Station is just 400 metres away from the Art Hotel Tucholsky. The Starlight Express musical is around 2 km away from the Mercure Hotel Bochum City.